Morel season 2013 has begun in the Northern Rockies! We found our first handful this weekend in a glade of aspen amidst an open talus field with an Eastern aspect. It was not exactly where I would have predicted their growth at this time of year. I am somewhat a neophyte when it comes to mushroom hunting. Ryan and I have searched for and found a few of the easier to recognize species the past few years. 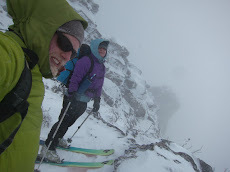 Most of our spots were a happy result of looking for boulders to climb at the right place at the right time. 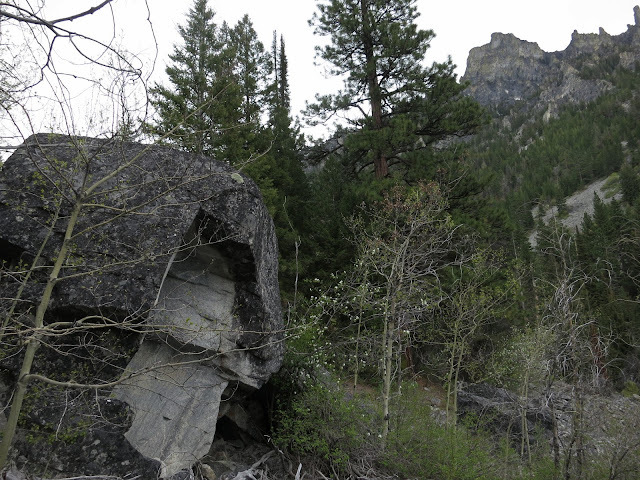 Boulders and mushrooms often like same habitat: open forest with decently drained soil. For me, a large part of the fun of mushroom hunting is having a reason to leave the trail and wander through beautiful terrain taking the time to closely observe my surroundings. As a new resident of the Northern Rockies, I plan to take the opportunity this season to get to know this place while searching for morels. Can I make morel discovery a little more systematic than a happy accident? I plan to use what I know about the delectable camouflage artists to help me learn how to use maps and data to determine likely spots for morels. Hillmap features data analysis tools that help asses weather, snowpack and snow line, precipitation, slope and aspect. I will experiment with these tools, and other useful data sources as I find them, and report back on my process and success or lack of it. 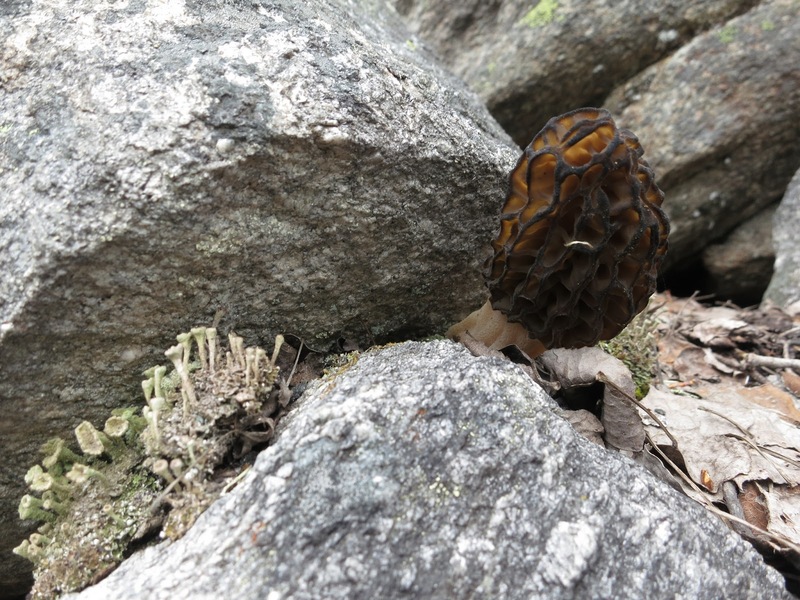 Morels are very distinctive mushrooms, however, there is a species of false morel that grows during the same season that has a chemical similar to jet fuel. Don't eat it. 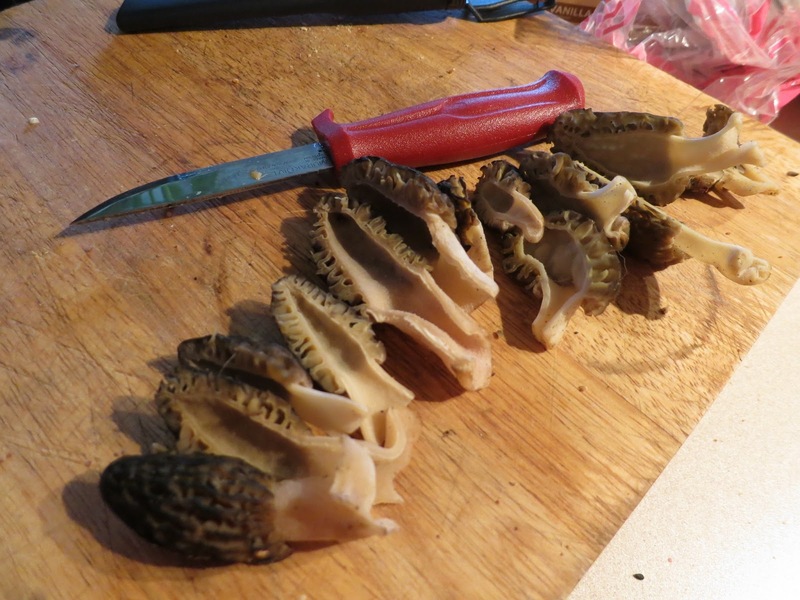 Some say that you can eat the false morel if you prepare it very carefully in just the right way, but I've always decided to err on the side of caution and stick to the real morels. Make sure you identify the correct mushrooms before eating. It is always best to have an expert identify mushrooms for you before eating them...nature produces an infinite number of shapes, colors and mutations that can make it difficult to identify a mushroom correctly from a picture in a guide book. If you live in Seattle, the Puget Sound Mycological Society is an incredible resource and also offers free mushroom ID clinics on Monday evenings in the Spring and Fall - show up with your specimen to be identified by an expert! There are many wonderful local mycological societies all over the world. 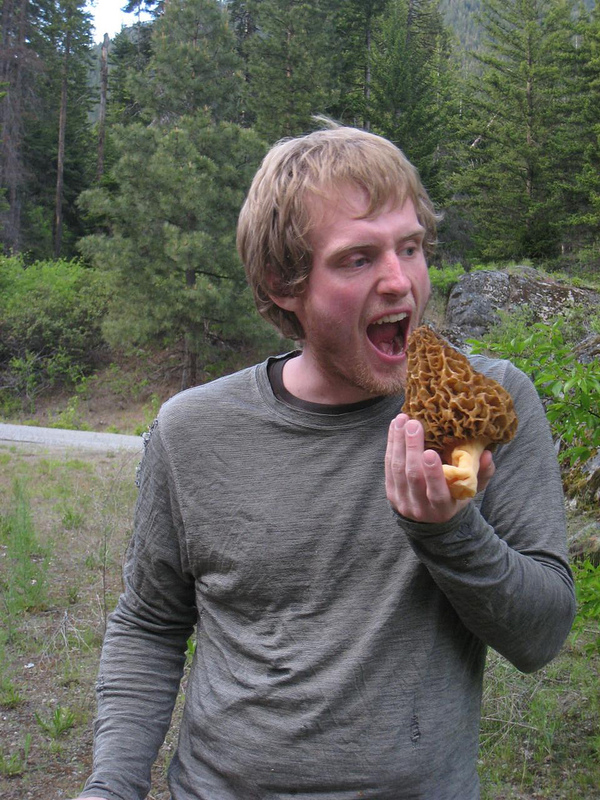 Ryan with Golden Morel a few years ago. I am somewhat a neophyte when it comes to mushroom hunting. Ryan and I have searched for and found a few of the easier to recognize species the past few years. Most of our spots were a happy result of looking for boulders to climb at the right place at the right time, Happy Glass is a casual physics-based puzzle game with hundreds of levels to unlock and solve.